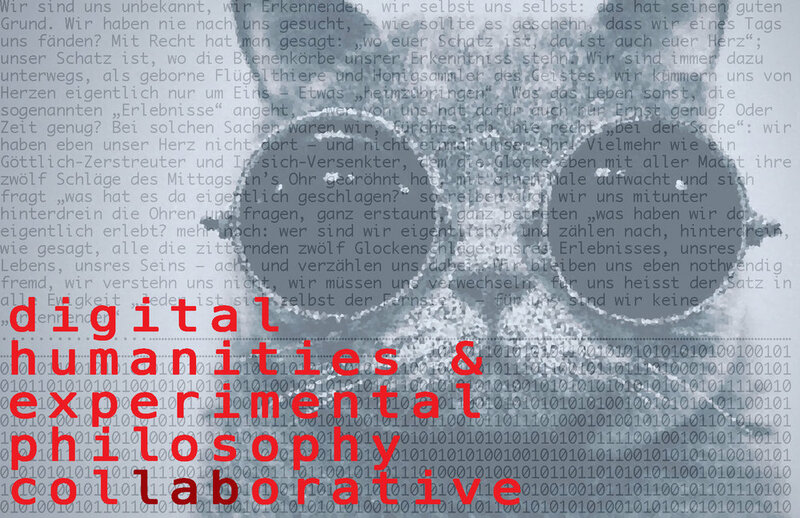 Welcome to the Digital Humanities & Experimental Philosophy CollaborATive (DHEPCAT)! DHEPCAT develops methodologies in natural language processing (NLP) and visual analytics to address issues in the field of philosophy. Digital humanities methods integrate and extend both close-reading and distant-reading techniques and offer a new source of evidence for empirically-informed and experimental philosophy. Traditionally, scholars working in experimental philosophy have focused on designing and conducting surveys and experiments to elicit judgments that reflect laypeople’s intuitions about philosophically important concepts such as right action, knowledge, meaning, or personal identity. As with any study that garners reactions from participants who have given informed consent, such work has limited external validity. Studies employing vignettes drawn from professional philosophy -- such as stories involving mad scientists, runaway trolleys, and all-knowing supercomputers -- run the additional risk of lacking ecological validity. While researchers have made progress investigating the judgments that laypeople produce when prompted with extraordinary scenarios, our understanding of people’s everyday intuitions would be enriched if we could review the judgments they express in the course of their everyday lives. Though DHEPCAT is based at Delft University of Technology, we collaborate both nationally and internationally. Check out our people here. We present our work in academic and non-academic contexts. Here is a list of events associated with DHEPCAT.